What would push you to commit a crime? Assistant District Attorney Nina Frost prosecutes child molesters, and in the course of her everyday work she endures the frustration of seeing too many criminals slip through the system and walk free. So when she receives the awful news that her son Nathaniel has been sexually abused and is so traumatised that he is now mute, she takes justice into her own hands as she enters the courtroom with a gun. She may have killed the man who hurt her son, but has she destroyed her family in the process? And whatever happened to innocent until proven guilty? 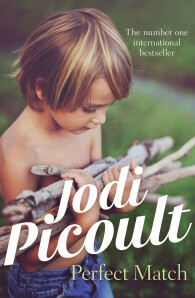 In Perfect Match, Jodi Picoult again weaves a heart-wrenching story which explores the lengths to which a mother will go to protect her child. Part thriller, part courtroom drama and part family portrait, this disturbing novel paints an indelible portrait of a family torn apart, and the drama of its riveting courtroom conclusion maintains the suspense until the final verdict is handed down.